Norway’s Winter Olympic success is extraordinary. Not only were they the runaway winner in the 2018 Winter Olympics medals race (final tally 39 medals to second place Germany’s 31), but historically they have outpaced every other country in Winter Olympic competition. Over the span of 90 years, they captured 329 medals to second place US at 282.1 And their population is less than the average of a single US state. The impression many of us have is that successful Olympic athletes are the most competitive human beings on the planet. Yet, the small country of Norway has demonstrated why, paradoxically, competition is not the key to Olympic success. In fact, a competitive focus can be a barrier to Olympic gold, and we’ll discover how this and other ingredients are at work with the Norwegian Olympic team. 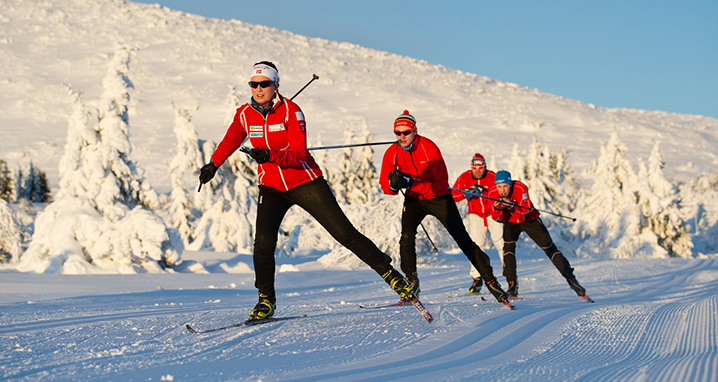 Norwegian athletes demonstrate the power of LEAD principles—here are components of their formula for success. Already in the early experiences of sport, the Norwegian culture is cultivating simply learning by playing without anxiety and judgment, a proven recipe for encouraging growth. Focusing on achievement rather than the competition has been identified for decades as a key to success within organizations as well as in Olympic athletes. In the 1960 Summer Olympics, rookie swimmer John Konrads faced veteran 3-time gold medal winner Murray Rose in the 400m freestyle. Konrads started the race ahead and led into the halfway point, then Konrads recalled, “losing concentration or focus on myself by worrying too much about what Murray was going to do.”5 Distracted by the competition instead of the goal, at each turn in the pool he lifted his head to find Murray. Konrads then fell behind and the result was a bronze for Konrads and gold for Rose. In 1960, Konrads refocused for the 1500 by detailed visualization of success in his goal. He consequently achieved it, winning the gold to Rose’s silver. And what about the Norwegian Alpine team, do they eschew the “competitive disease” and actually help each other accomplish more as a team? Or do the Norwegians focus on their own accomplishments in the end? After all, only one skier on a team can win each race. Here again, rather than fall into the competitive trap, the most successful athletes are practicing the LEAD framework to thrive both individually and as a team. Heading into the final race of the 2018 downhill ski competition, the Norwegian team longed for a gold that had been elusive in the previous six races. “I just wanted to win. And I know he wanted to win,” Aksel Svindal said as he sat next to teammate Kjetil Jansrud at the postrace news conference.6 Yet despite the inherent competition between them, the Norwegian approach is a collaborative effort to develop each other. “There are no secrets in terms of individual tactics or techniques on the team; we share everything we know,” said Jansrud who took the second-place silver medal. The gold went to his teammate Svindal, capping a Norwegian triumph. If the LEAD concept appeals to you, consider learning more about LEAD practices through my newsletter. 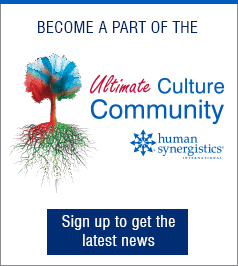 And if transformational development interests you, consider examining these change solutions from Human Synergistics to inspire your people and propel your business. Adapted and reprinted with permission from Michael Kern on LinkedIn. Photo credits, Creative Commons: banner image, inset image. Michael Kern is an executive with over 20 years of experience leading the HR function in start-up ventures and established organizations. He's worked with public and private companies in industries including software, telecommunications, engineering consulting, and medical devices. His Human Resources leadership has enabled organizations to achieve INC 500 status, to be recognized among the “best places to work,” to grow from start-up to successful acquisition and to expand from a locally focused business to become a global competitor. Michael assists colleagues to further their success with a personal or organizational LEAD program; to learn more, sign up for his newsletter.